Elizzabeth Hope: Day 8 : Polyvore Love! Hey Dolls! So once again no outfit post...But I can assure you that I AM dressing up to school everyday! haha! I just sometimes can't find the time to take pictures...I've made a Bucket List or things I want to do before the end of 2012 list! Update on that later! I made a Polyvore today! I've actually been on polyvore for like 5 years now but I lost the email to my old account and well...I think they might have deleted it...wahhh...so upset! But have no fear I've made another one HERE! 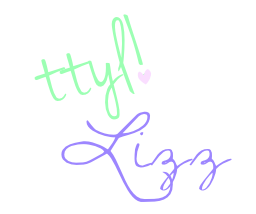 Someone took GirlMeetsFashion name so I used ElizzabethHopeGMF. GMF if you haven't picked up from it yet is Girl Meets Fashion haha! Here's the set I made today! Hope you like! Oh! and how could I forget!! Happy Birthday to my Best Friend Erin!!! :D WOO! Love that blouse and of course those killer heels!